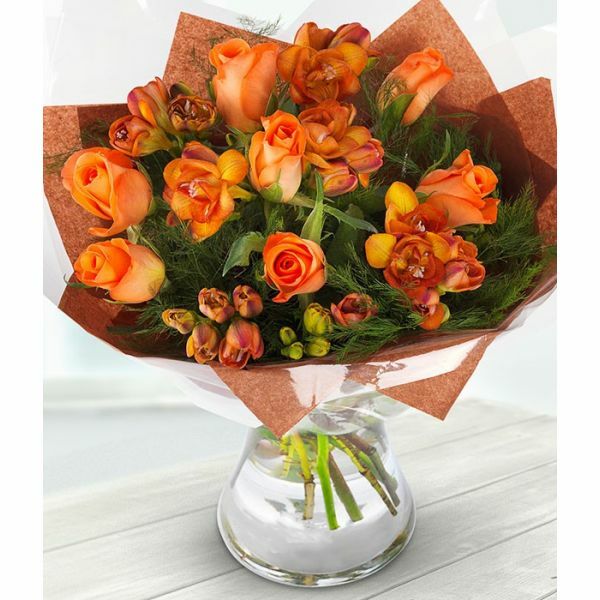 A glorious combination of Tropical Amazon Roses and beautiful warm Freesias. Flowers will be delivered in bud for freshness. Presented and delivered as a gift wrapped handtied bouquet, ready for the recipient to arrange in a vase of their choosing.